The Gazette has a good story about Jeanne Mance, who founded Montreal on this day in 1647. Less well remembered than Paul Chomedy de Maisonneuve, if only because de Maisonneuve is an unavoidable part of any trip downtown, she was in fact the driving force behind the foundation of a Christian community near the Iroquois settlement of Hochelaga. Now she is being celebrated at the Hôtel de Ville and in A Mad Venture, a new film by Annabel Loyola. 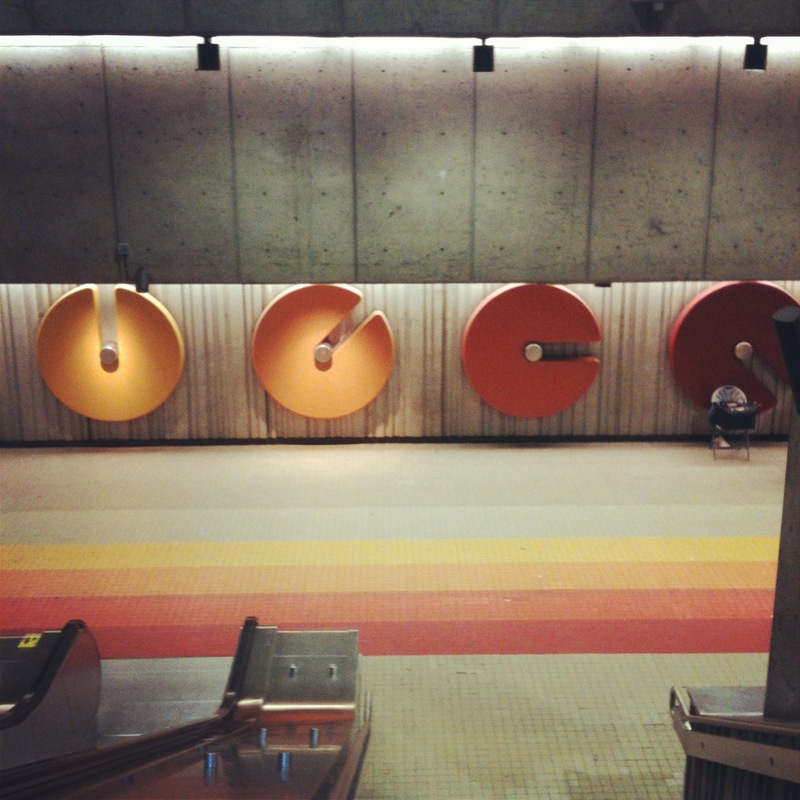 It is one of the peculiarities of the Montreal metro system that there are no women with stations named after them. The closest it gets is Villa Maria, the name given by Mance to her new religious community and which is retained as the official name for downtown Montreal. This is, of course, in reference to the Virgin Mary, which seems to set the criteria of remembrance implausibly high. Villa Maria station itself is not downtown though, but west of the mountain in Notre-Dame-de-Grace-Côte-des-Neiges. It refers not directly to the old town, but, I think, to the large villa built by James Monk (of Monkland fame) in 1804. This was subsequently leased out to the crown and served as a residence for Governors-General from 1844 to 1854. It was renamed when it was purchased by the Congrégation de Notre-Dame as a school for girls, a role it continues to perform today. To be fair to the metro system, which is constrained by the demands of traffic and the limitations of engineering, none of the stations are named after people at all. Instead they are named after places and streets, which may commemorate people. Jeanne Mance is remembered with a park on the eastern side of the mountain and with a road parallel to St-Laurent and Parc, but until more stations are built or the City changes the names of some roads, the women who built Montreal and Canada will be poorly remembered by the Montreal commuter. The full Gazette article can be found here. Posted in Montreal Metro, Orange Line. Tagged canada, history, metro, montreal, Orange Line, Villa Maria. Really interesting blog! Would loove to send you some photos of the Villa Maria station that I took after it opened after the recent facelift…if you are interested. Thanks for stopping by. I’d love to see them. I think if you use the form on the Contact page, then I’ll get your email address so I can give you mine.